Pops and I got married in November 28, 1981. His side of the family hosted a bridal shower for me and made this very casserole. I don't believe I have had it since, but think of it often. Everybody really enjoyed it. I enjoyed it enough to still remember it all of these years later. This first recipe that I thought that I would love to share when Carlee started her blog in January was this recipe. We have been trying to share family favorite recipes both new and old. The ones that are important to me are the ones that have a special memory attached to them. We have made hamburger surprises, homemade noodles, lasagna, Cavanaugh's noodles and now this. All of these recipes are very dear to me. It's been a lot of fun remaking them and sharing them on the blog. Kitchen boquet to flavor, or use 1 tsp sage, onion powder and thyme. I used a little less sage than suggested because some people in my family don't like the flavor it adds. Mix all ingredients together and divide among 3 greased 9x13" pans. Bake for about an hour. Cut into squares and serve with the gravy on top. To make the gravy, mix the broth and starch together so you don't get lumps. 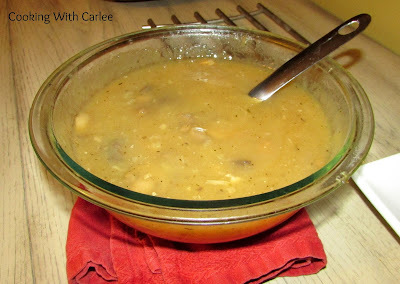 Pour into a saucepan along with the mushrooms and seasonings. Cook, stirring often until it is the consistency of gravy. Some of the old fashioned stand by recipes are the best!! This looks great, and what a special memory it will bring! This is definitely a good one. When I was copying recipes from the family cookbook last year, my mom said she was making this one and I wasn't allowed to. I am glad she finally had a chance to make it and it lived up to expectations! I bet this tastes amazing. I guess you could figure out how to make this for a smaller crowd. Enough for 50 is a lot. You could definitely scale it down. I just thought it was fun that it was sized so large in our family cookbook! I love family recipes that have memories attached to them. This one sounds SO good! Yum Yum! Me too! It was fun to have one that my mom had such fond memories of. We really enjoyed it! Wow, Carlee...what a great recipe! It sounds delicious and I'll definitely have to try it. I may have to make a smaller version of it though...LOL! Thanks For sharing with us at Share The Wealth Sunday...I always love to see what you link up! I suppose 3 full 9x13" pans might be a bit much for a regular dinner! It was fun to try a recipe that hold such special memories for my mom. Thanks for hosting! 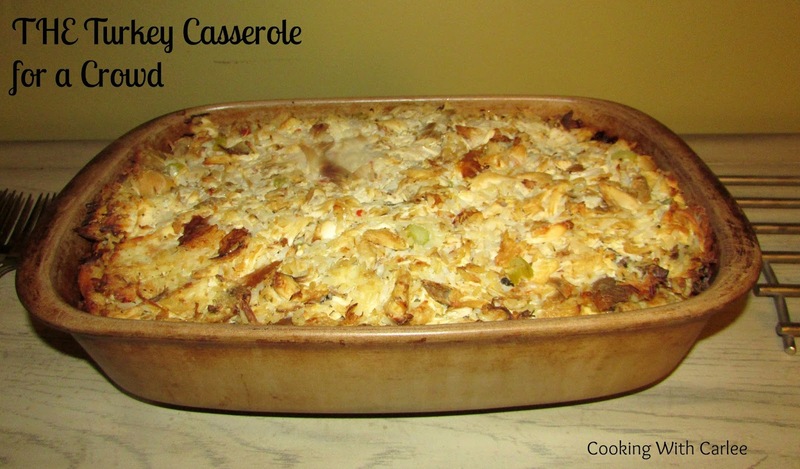 This turkey casserole recipe looks delicious. What a great family recipe. Thanks for sharing at Thankful Thanksgiving Link Party. Pinned. Thank you! It's one you definitely need a crowd for, but is always a hit when we make it! 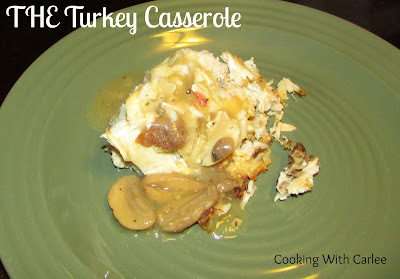 Looks like a wonderful pot luck recipe for using leftovers! It is a great way to use leftovers and still feed a crowd! Thank you!